"Would You Still Be There", the new video from the California-based rock quintet OF MICE & MEN, can be seen below. The clip was directed by Nathan Cox for Renaissance Man Productions. 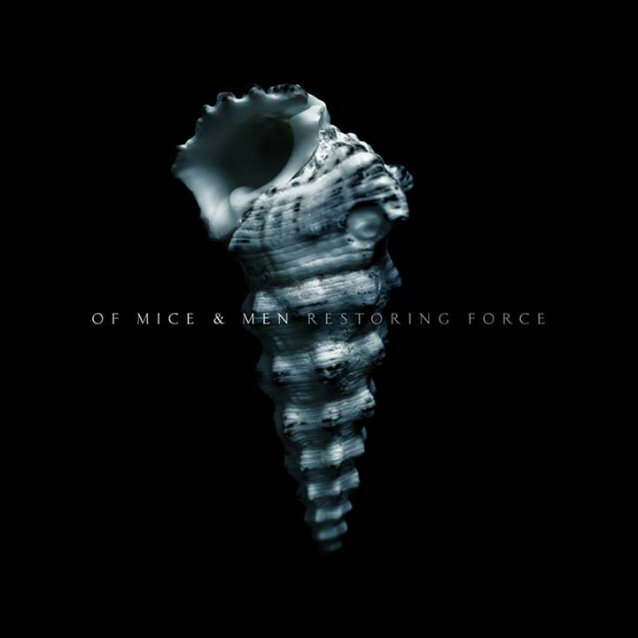 The song is taken from the band's third studio album, "Restoring Force", which sold around 51,000 copies in the United States in its first week of release to debut at position No. 4 on The Billboard 200 chart. The CD arrived in stores on January 28 via Rise Records. "I'm super excited for the debut of our new video for 'Would You Still Be There'," said Aaron Pauley, the band's bassist and clean vocalist. "Directed by Nathan Cox, who has worked with bands like LINKIN PARK and CHEVELLE, the video offers a peek into a present day small town set in an alternate post-apocalyptic reality and its gas mask clad inhabitants. "Shooting the video was a great experience. Nathan and his staff did an incredible job with the imagery and location, and created a believable setting in an abandoned mining town north of L.A. Despite chipping my tooth on that pesky vintage microphone, I had a blast, and it was awesome getting to hang with some of our fans; which can be seen in the video's ending performances parts." In a recent interview with UMusicians, OF MICE & MEN guitarist Phil Manansala stated about the "Restoring Force" album title: "The whole album is about restoring the equilibrium of rock music. We have developed our sound to a new level and want to display it. We have heavy influences from '90s bands such as LINKIN PARK and KORN and there hasn't exactly been music like that around lately, so the album is really about restoring rock music and the force that it has." Asked how the making of "Restoring Force" was different from the recording process for "The Flood", Manansala said: "Well, this album we recorded while we weren't on tour. 'The Flood' was mostly written on the road in between shows. It was different to write all this music together and not be on a tour bus. This was also our first album recording with our bassist Aaron Pauley." "The Flood" was originally released on June 14, 2011 and received a re-release on July 24, 2012 and included four new tracks.